ColorKitchen offers a natural alternative to synthetic food colors, with vibrant and beautiful plant-based options that decorate and color food safely. Their rainbow of all-natural food colors come in easy-to-use powder packets and are made from sources like beets, spirulina and turmeric. Simple, pure ingredients make them healthy, colorful and beautiful! To use, add one color packet (1 ¼ tsp) per pint of frosting. Each packet makes enough to frost a cake, or a dozen cupcakes or cookies. For best results mix the color powders with a very small amount of water (approx. ¼ tsp liquid to 1 packet) to make a paste, so they blend easily into the recipe. Natural colors are heat sensitive. Fading may occur when baking. Best for frostings and icings. ColorKitchen originated out of a love for colorful food and concern for the purity of ingredients we put in our bodies. Our goal is to offer naturally colorful solutions to replace artificial food coloring additives, allowing families and children to enjoy decorative desserts without experiencing harmful health and behavioral side-effects. 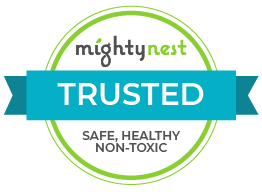 Founder Ashley Phelps has long suffered from food allergies and chemical additives in products. With a nutritionist mother, she grew up aware of what was in her foods and paid close attention to her diet and how it affected her mind and body. Eating healthy has always been a priority for Ashley, and with a rather substantial sweet tooth, finding healthy dessert options has been a life-long mission.Located in Bend, Oregon, just east of the Cascade Mountains, ColorKitchen is a small business, created and run by women. We experiment with recipes in our test kitchen, trying out products and making tasty treats, sometimes with less than perfect results!Our mission at ColorKitchen is to see the end of artificial coloring in the foods we eat. Artificial coloring has been linked to ADHD in children, as well as cancer and allergic sensitivities. Our products were developed to offer a natural alternative to synthetic colors, with vibrant and beautiful plant-based options that decorate and color food safely. We want to bring you products that you can feel good about, products that are affordable, fun, and easy to use.